A Gospel on the silver screen. Given the amount of talk involved, even for a three-hour film, one might expect The Gospel of John to come off as somewhat static and preachy, but it is not so at all. Saville uses a wide variety of cinematic techniques to keep things interesting. The camera moves about constantly, prowling through streets and passages, panning about, and shifting from one character to another, to give the viewer something interesting to look at while Plummer narrates. The visual tableaux are often quite beautiful, especially in the use of contrasts between light and shadow, but never in a way that distracts the audience from the story. In addition, the producers took great care to make the settings and costumes look as true to the time as possible, giving the film a new and interesting look. Even the soundtrack reflects this care, as the arranger included authentic recreations of instruments of the time. In addition, Saville evoked an excellent performance from Henry Ian Cusick as Jesus Christ. Cusick presents the Christ as significantly more cheerful and self-assured than most such depictions have been. He smiles easily and often, and has a pleasant but strong demeanor and can be quite determined when that is appropriate. This makes his Christ rather less enigmatic than is usual for a screen depiction of Jesus, and it does not in any way decrease our reverence for him — the main point of John's Gospel, after all, is Christ's divinity. Given that emphasis, Cusick's and Saville's choice to show Jesus as a person who enjoys life and particularly enjoys serving God, his Father, in addition to being supernaturally wise, temperate, loving, and courageous, is exactly right . . . . .
. . . . . the film takes on the style of an A&E biographical documentary: A narrator tells the story, and actors clad in period costume reenact the events in settings as realistic as the producers can afford (which in this case, as mentioned earlier, are very persuasive indeed). The camera moves about the settings while Plummer articulates the Gospel text, just as the shot in a TV documentary pans across a still photo to create some sense of movement while the narrator describes the events it shows. Black-and-white flashbacks are also used to good effect here, tying the narrative strands together visually as Plummer recites the text. Good analogy -- it does have that feel. I haven't finished watching yet, but at this stage I'm a little less enthusiastic about Christopher Plummer's narration which is surprisingly wooden and sometimes intrusive. I'd have liked to have seen more imaginative use sometimes of the ambiguities over narration / dialogue / monologue in the film, e.g. as soon as the narrative reaches John 3.16, Christopher Plummer's narration comes muscling in with "For God so loved the world . . ." And elsewhere Plummer gives us the crowd's thoughts rather than the words being put in the mouths of members of the crowd. But these are niggles; it's a joyous outing so far (I'm up to Chapter 8 now). I agree with Karnick about the flow of the narrative, the use of black-and-white flash backs and so on. Karnick comments that in Cecil B. de Mille's The King of Kings (1927), one can actually see what Jesus writes in the ground in the story of the woman taken in adultery in John 8. Since I don't have a copy of the film (I should get one), I don't know what he writes. Does anyone happen to know? Are there any other Jesus films where we can see what Jesus writes? I can't think of any. He doesn't write at all in this scene in Last Temptation. In The Gospel of John it's not easy to see what he is writing -- it looks like some kind of symbol. The film is fortunate in its casting, which borrows mostly from British television and theater. Daniel Kash is an impetuous Simon Peter, Stuart Bunce an observant John, Scott Handy a wild-eyed yet tender John the Baptist. Yet this lily-white casting is also the main awkward element. Brown, black and olive-skinned extras abound, yet all Christ's close friends are Caucasians. In a movie that strives for fidelity to the story from which it springs, couldn't we have more honesty about the people who lived 2,000 years ago in the Middle East? The question that just won’t go away: is Sunday this week or next week? So my editor was right. For the Creationist, Saturday being the Sabbath, the new week must start on Sunday. The Bible confirms this. Matthew xxviii 1: ‘In the end of the Sabbath, as it began to dawn toward the first day of the week, came Mary Magdalene and the other Mary to see the sepulchre.’ Dozens of New Testament references suggest the same convention. The early Palestinian Church followed it. So why did Christianity depart from the convention? Why did we not designate Saturday as our Day of Rest, and Friday and Saturday as our weekend? As so often, St Paul seems to be the problem. In his arbitrary way, Paul started talking as though the Early Christian Holy Day had been switched from the Sabbath to the following day. He did not say why, but we can be pretty sure he was not relying on anything Christ said, or he would have cited Him. It is a fair assumption that Jesus, a good Jew, observed Saturday as His Holy Day. Paul was vague, however. The first text explicitly to mention Sunday worship is Justin’s First Apology, c. ad 150. "As so often", Paul is cited as "the problem" without any corroborating evidence. Jesus is cited as "a good Jew" but Paul not. It's interesting just how easy it is in the journalistic world to blame Paul for everything. But then Parris also wants to "stop people with doctorates calling themselves doctors", so what would I know? It focuses on the pope's alleged opinion of some soup he had for dinner one night, in a series of emails beginning with "The boss said the soup was good. Nice work" through "Still hearing from all sides about your famous bouillabaise. You should chisel the word "Good!" on the plinth above your stove" to "The claim that he would have intended the word "good" in a positive sense is preposterous prima facie and does not merit credibility. A memorandum indicating the contrary that purports to have been issued from my office is a transparent forgery" and so on. Well worth a read. Pope on Gibson movie: Was it as it was? No one can have ironclad certainty about what the pope said. Based on Navarro’s Jan. 22 statement, it is possible that the pope said something like “It is as it was,” but intended this as a private reaction. My original source continues to insist this is the case. On the other hand, there is no clear confirmation of the remark. No one comes out of this mess looking good. The makers of the film have been widely accused of either lying about the pope’s comment, or abusing John Paul’s confidence by publicizing a private remark. If either of those charges is true it would be reprehensible, but if not, their reputation has been done a serious injustice. Reporters, myself certainly included, look like naifs who have been spun every which way, or worse yet, like willing partners in someone’s dishonesty. If nothing else, it’s a wake-up call about the dangers of reliance on anonymous sources, a fact of reporting life in the Vatican. Officials here rarely speak on the record, so those of us who cover the Vatican are constantly dealing with unnamed sources. This incident undoubtedly has raised the bar on caution for all of us. I've scrapped the previous blog email address since it is getting so furiously spammed that there have been occasions when I have accidentally missed the odd authentic email. I'm trying something different, a bloglines email address that one can repeatedly change so as to run away from the spam. The only unfortunate thing is that it is unmemorable, so you'll have to go to "Click here to send email" which appears on the main page at the top, or in the header information if you are reading in an aggregator. Since Blogger began to provide xml site feeds to enable their blogs to be read in an aggregator / blog reader, I have been looking for a good blog reader (see previous blog entry). Newsmonster I still cannot even persuade to install and Bottom Feeder has problems with the Blogger xml feeds and messes up any entry featuring links, especially adjacent links. My next attempt has been with Macromedia Central which features a nice looking Blog Reader. At first I thought that this was my solution. It looks good and it has no trouble representing the blogger xml site feeds neatly. But it seems that there are problems with this too. There's lots of other rubbish packaged in with it -- movie finders, weather finders etc., and all USA-based. It's very patchy in what it seems able to fetch from the blogs I want to read and it's "refresh" button doesn't appear to do anything. It's also not versatile enough. What I like about Bottom Feeder, if only it rendered the xml feeds intelligibly, is its versatility within given blogs and blog entries. My guess is that most of my readers simply read on the web since I've not had any feedback on this topic. Enraged Filmgoers: The Wages of Faith? The obvious thing to say about the skirmishes over "Passion," which will either subside or intensify once the movie opens nationally on Ash Wednesday, Feb. 25, is that, since those earlier dust-ups, the sides have reversed. The conservative Christians who were so vocal in their condemnation of Mr. Godard, Mr. Smith and, especially, Mr. Scorsese, are now equally vocal in their defense of Mr. Gibson. An ugly undercurrent of anti-Semitism ran through some of the attacks on those supposedly sacrilegious movies, directed not at the filmmakers, none of whom were Jewish, but at the producers and studio heads who have periodically served as convenient targets for conspiracy-minded demagogues. Similar insinuations bubble beneath the surface of some of the defenses of Mr. Gibson's reportedly pious picture, which is itself accused of fomenting anti-Semitism by placing the blame for Jesus' death on the Jews. This reversal is testimony both to the endlessness of the culture wars and to the changed landscape of battle. Those Catholics and evangelical Protestants who felt alienated from much of American commercial culture and who informed the earlier protests, have not only a powerful and glamorous Hollywood ally in Mr. Gibson but also a growing sense of cultural and political confidence. More and more it seems that religious expression — in the form of best-selling thrillers, pop music, movies and television programs — is entering the mainstream. The article discusses Ben Hur, The Robe, King of Kings and how about this for a characterisation of The Greatest Story Ever Told? In that film, Jesus, played by the young Max von Sydow, wanders through a Holy Land that resembles nothing so much as an endless showbiz talk show, populated by the likes of Shelley Winters, Telly Savalas and John Wayne, temporarily exchanging his cavalry badge for centurion's armor. The article focuses specially on Last Temptation of Christ and Pasolini's The Gospel According to St Matthew, both of which the author obviously admires. A clergyman infiltrates the grass-roots campaign for Gibson's new Gospel film to catch a screening and reports that Jews, Arabs -- and Christians -- should be worried. Anti-Semitic and anti-Muslim. Some of those words in Aramaic sound a little bit like Arabic -- Arabic is a Semitic language too. [In the film, it came off like] nasty foreigners were doing this thing to our beautiful Jesus. So when Mel Gibson said in the interview that the reason for the other languages was to highlight the brutality, that kind of freaked me out. Mel Gibson in his remarks after the film took a potshot at contemporary biblical scholarship -- he called scholars "revisionists" who think the gospel writers had agendas. We need to add the rider that this is only a reported impression in an often silly article, but if it is accurate I think it a shame that this line is still being taken. The idea that opposition to this film comes from contemporary liberal Biblical scholars who do not want the Bible story retold is nonsense, especially in the light of The Gospel of John, which used several Biblical scholars of "liberal" leaning and otherwise, including Christians and Jews, and which is a literal word-for-word retelling of the Gospel of John, of all the Gospels the one most open to charges about anti-Judaism. It may well turn out that there is nothing to worry about over The Passion of the Christ, but if there is it will not be because it is somehow too close to the Passion Narratives of any or all of the canonical Gospels. Also included is a scan of the confidentiality agreement they had to sign. There are some useful reflections here from the overlapping but different perspective in Classics. I haven't time to comment at the moment but will return to this later. I've only recently got into this game myself and so far with only mixed results. First, what newsreader or aggregator does one use? Newsmonster comes highly recommended but I can't get past first base on this -- I've downloaded the programme but it will not install. If anyone has any suggestions on that, I'd be grateful. Several of the others require one to part with money; one that doesn't is BottomFeeder. I found this straightforward to download, install and begin to use, but there's a problem with it -- the site feeds from blogger based sites don't represent properly in the content window (mine, Paleojudaica, Hypotyposeis, etc.). It seems especially not to like links. So while one can monitor the appearance of new posts in one's favourite blogs, one still has to open in one's browser. On the other hand, non-blogger based feeds seem to work fine, e.g. AKMA's. So if anyone has any bright ideas on how this could be fixed, I'd be interested to hear them. UNO and Creighton University will host a symposium on the movie The Passion of the Christ, to discuss the movie's meaning Thursday . . . . Bill Blizek, a professor of philosophy at UNO and editor of the Journal of Religion and Film, is the organizer of the event. He said that UNO and Creighton felt the need to have the forum because it is a "powerful movie" and has a famous director. Blizek said "Mel Gibson felt moved to make the movie." There are some very interesting looking papers. In the interview, Gibson breaks his silence, speaking for the first time about charges that his film, The Passion of the Christ is anti-Semitic. He talks about his bold vision for the project and his motivation for making the film. Gibson tells Arroyo, “It reflects my beliefs-I’ve never done that before.” He also candidly comments on the controversy surrounding the movie, his resistance to altering the film, and his personal commitment to press forward: “I don’t know if I will ever work again. I’ve said that this is a career killer and it could well be, but that doesn’t matter because I don’t care,” Gibson says in the interview. Based on biblical accounts, the movie, "The Passion of the Christ," depicts the last 12 hours of Christ’s life on earth and will be released in the U.S. on Ash Wednesday, February 25th. EWTNews Director, Raymond Arroyo was on set, in Italy during the filming of “The Passion of the Christ” last year, and is the only broadcast journalist to conduct an extended interview with Mel Gibson about the project. Speaking of events of Biblical proportion, one of my dearest Davos friends, musician and social activist Peter Gabriel, told me a story about "The Passion of the Christ." The controversial new film depicts the last 12 hours of Christ’s life on earth, and it turns out that the movie’s Website had incorporated some of Peter’s songs without permission. This fact set in motion a dialogue between Real World (Peter’s entertainment company) lawyers and those of the movie producer, Mel Gibson. As Peter explained it, Mr. Gibson called him immediately to apologize and ended up making a donation to Peter’s non-profit organization, Witness, for his penance. He also agreed to send a tape of the movie to Peter for his private viewing. "I watched it and wept," Peter recounted. He says it is a very violent movie, but well directed with amazing cinematography. And the controversy that the film is anti-Semetic [sic], painting Jews as "the killers of Jesus"? Peter points out, "Well, the Pharisees certainly didn’t look too good, but neither did the Romans." I'm not quite sure where the "some of Peter's songs" is coming from; an earlier version of the teaser trailer used a Peter Gabriel track and that may have been on the official web site -- I can't recall. I do remember clearly that there were a bunch of samples of Peter Gabriel's songs on the site that describes itself as "the premier international fan site", which has been around for some time; and that site did remove the Peter Gabriel songs pretty quickly after they'd arrived. Incidentally, the official site now does have John Debney listed as the one who has scored the film, with a little bio. The way I see it, there are still plenty of opportunities to carve out a niche for yourself specializing in a segment you feel most passionate about (that passion will sustain your motivation during the tedious parts like keeping links up-to date). If could be anything, such as "Anything you wanted to know about Philemon but were afraid to ask" as long as you have the passage and the editorial work is good. If the specialized site is good enough, some of the burden undertaken by the megasite maintainers can be eased. My DVDs of the new Visual Bible Gospel of John film arrived today. Unfortunately I have too much marking, teaching preparation and admin. to do to find time to watch it all so I'm taking it in segments. I've enjoyed it very much so far. It's nice to have a Jesus film in which Jesus appears from pretty early on. As Christopher Plummer narrates the Prologue, there are nature scenes, sunsets etc., John the Baptist comes in and gradually you see Henry Ian Cusick as Jesus walking -- but his face only finally revealed at the end of the Prologue. Cusick has a warm smile and seems rather engaging. The film does have that typical Bible-film look about it. John the Baptist looks like an actor with a false beard and lanky long hair. Nothing has ever quite got the blood and dirt in the way that The Last Temptation of Christ managed, though I suppose The Passion of the Christ looks like it is going to be far more graphic in its violence than anything we've seen before. I was intrigued to see how they would depict John the Baptist's speech about the dove descending on Jesus -- would they make it a baptism scene, i.e. would they allow themselves to be influenced by the Synoptic context? In fact they don't show Jesus getting baptized by John but they do show him arising up out of the water -- in flashback -- as John tells the crowd about Jesus. The Wedding at Cana has Jesus' mother dressed in traditional blue so that she is instantly recognisable. In some ways this is a bold decision given that so few Jesus films do dress her in icon blue. The words of the Good News Bible, "Madam . . .", along with Jesus' smile, tend to make his words to her less harsh than they might otherwise have been. The Temple scene is pretty interesting -- Jesus is quite animated -- far more so than in the older films like The Greatest Story Ever Told (Max von Sydow as Jesus making a carefully choreographed token effort at causing a scene) but it does not compare to the Scorsese (Last Temptation of Christ) temple scene -- one of the finest moments in Jesus film history. The scene did remind me of the Scorsese temple scene, though; the way that the Jewish leaders come down the steps to see what is causing the commotion and find themselves confronting Jesus directly -- this was very similar to Last Temptation even if it looked like a rather pale reflection of it. Though I'm only up to the end of John 2, it's already clear to me that the production values are a bit higher than they were with the previous Visual Bible outing, Matthew, but it is only a bit. It does have a very similar feel to it, Christopher Plummer's narration relentlessly marching on just as Richard Kiley's did in Matthew. A nice feature of that film is missing in the new one. In Matthew, we sometimes see the aged apostle dictating to his scribe and it created a feeling of distance between the text and the events being narrated. But in Gospel of John the narrator is unseen. One improvement with Gospel of John is that we don't have the Bible verse ticking away in the corner as we did with Matthew. More reflections as I watch my way through it. Incidentally, getting hold of it is not easy if you are outside the U.S.A. or Canada. It's not been shown in any British cinemas to my knowledge and there is no video or DVD release here. You can't order it from the official site because it will not ship to the UK or elsewhere. But there is a way round it if, like me, you are desperate to see it -- new copies are appearing every day or two on ebay. And if you are lucky (I was), you can even get it just a touch cheaper than it is on the official site, though the price gets pushed right up to the limit and sometimes over it. Also, it's useless if you haven't got a multi-regional DVD player because the ones on sale in the U.S. are all Region 1. Conrad explains it like this: "an extract from Robert W. Funk's 3-volume textbook of Koine greek, first published in 1973 and long out of print. The materials here extracted set forth the rationale of Funk's method and sketch the linguistic framework on which the textbook and teaching program are organized. I have long thought that these are the principles that ought to govern the teaching and learning of ancient Greek at any level, whether Homeric, Classical Attic, or Koine." And it is in the column on the left (scroll down a bit). Some readers have asked about this but others may have no idea what I am talking about, so I'll explain a little more later. This is a new society "created in order to promote biblical and related studies in Europe". The web site provides information about officers, the constitution, forthcoming conference, links and so on. Jim Davila and Torrey Seland comment further on the megasite question. I like Jim's comment that "There's plenty of room for experimenting in cyberspace". One thing is clear to me and that is that I would not enjoy the role of a kind of general editor of a megasite; I'm not too keen on anything that would take the fun (for me) out of the work on the web. . . . . "What I think happened is that they threw this committee together very quickly. It's like a road accident: The first people on the scene are not always the best to help. That's exactly what happened. I think there will be another, better-qualified committee to study it and issue a new report." Dr. Harrell said Dr. Shanks has asked him if he would consider organizing such a blue-ribbon panel. "I sort of welcome the opportunity, and in a way I don't," Dr. Harrell said. "It's such a controversial issue. You can get caught up with it. Not everybody's going to be happy with what you do, no matter what your conclusion." It doesn't add much to what we already know, but it's clear and full. I think this cannot be done by one individual alone. I would therefore suggest that we should gather certain individuals for small sections. Every individual is responsible for one section under the head of the NT-Gateway. This way everything looks the same and is easily navigatable. This is already the case with the "Open Web Directory" where you can become an editor of a certain category (check http://dmoz.org). An editor should keep the links up-to-date, add new links, and have some comments now and then. The only problem I see at the moment is how to manage the access authorization for the editors. I have wondered about something like this before and it might provide a useful way of getting the balance right between an evolutionary approach and some degree of prescription or organisation. However, at this stage, at least as far as the NT Gateway is concerned, I am a bit concerned about the idea because (a) it might take as much organisation and maintenance as the doing the site myself; (b) it would -- as Wieland mentions -- mean organising access authorization for the editors; (c) there is the risk of patchiness across the site, with some editors doing their sections well and others less well; and (d) I am not sure that the NT Gateway would be the right forum to do this -- there are other megasites and I don't particularly want to land myself with a kind of imperialistic role! But on the other hand I don't want to pour cold water on this; I am intrigued by the suggestion and there may be something in it. Let me think a little more. One final comment on how something like this is actually evolving already. On many occasions I simply point to a place where you can go to get the best gateway on a given subject. I have a little section of Judaica, for example, which just points to some of the major places to go for extra information -- it would be madness even to try to be comprehensive there. Likewise the Gospel of Thomas. Even though that is one of my research interests, there is no point my trying to provide a comprehensive set of links because one already has Steve Davies's Gospel of Thomas homepage, so I point to that and one or two other leading resources. My guess is that this is the way that things will continue to develop, so unofficially bringing about something like what Wieland is suggesting but on a more organic, evolutionary model. If you've not been following it, the gist is this: the Vatican apparently reported the Pope as saying "It is as it was" and then a month or so later apparently denied it. Both Noonan (one of the journalists at the centre of this) and Steve McEveety (the producer of The Passion of the Christ) have emails from the pope's official spokesman, Joaquin Navarro-Valls, which seem to back up the quotation, unequivocally in the case of the McEveety one (sanctioning that the quotation is to be repeated "again and again and again"). Navarro-Valls apparently claims that the email to McEveety is not genuine but fabricated. Have a look at Noonan's full and patient examination of all this which concludes with a paragraph beginning, "Believe me, it is painful to be accused however implicitly of being the accessory to a lie" and with the promise of more to come. One thing that is not yet clear to me is whether the emails to McEveety have been analyzed. The EWTN report yesterday said "Noonan and Dreher were able to establish that the email message to McEveety was sent from Navarro-Valls' email address, and relayed through a computer at the Vatican". Noonan's article, however, only confirms that the email to her was relayed through the Vatican and her email is nothing like as unequivocal as McEveety's. More on The Passion soundtrack -- Gibson sings! The score will be available on CD from Sony Classical on 24th February, one day before the film's world premiere. The music is written for orchestra and choir singing in Aramaic (the film's dialogue is also in Aramaic and Latin). According to a press release, director Mel Gibson lended "his own voice to the singing and chanting" in the score. Vatican Public-Relations Debacle on Gibson's "Passion"
. . . Meanwhile two prominent American columnists reported that, shortly after the Pope's comment was reported, Navarro-Valls had encouraged McEveety to use the quotation. In separate columns published on January 22 in response to the denial from Archbishop Dziwisz, Peggy Noonan and Rod Dreher of the Dallas Morning News reported that they had seen an email message from Navarro-Valls to McEveety, in which the papal spokesman told the film's producer that he should feel free to cite the Pope's comment "again and again and again." Confronted with that email message, Navarro-Valls denied that it was authentic. But Noonan and Dreher were able to establish that the email message to McEveety was sent from Navarro-Valls' email address, and relayed through a computer at the Vatican. On January 22, Navarro-Valls issued a short, bland statement confirming only that the Pope had indeed seen the Passion. Without directly responding to reports that the Pope had issued a one-sentence comment, the Vatican spokesman concluded: "It is the Holy Father's custom not to express public judgments on artistic works-- judgments which are always open to diverse evaluations of an aesthetic nature." It also seems that they have scrapped all their older on-line full text content -- very disappointing. I'll give it a little to see if any of it returns but if not, I'll have to take off the links to individual articles on the NT Gateway. Meyers on James Ossuary "pure hearsay"
"Unfortunately, the anonymity of the witness is a serious cause for concern, and until the person is willing to come forward and be "cross-examined" to determine if that's what he really told Meyers or whether his recollection is solid, the charge has to be considered pure hearsay. It is also unfortunate in terms of being able to evaluate the charge that "the dealer's shop has recently closed and the one-time owner of the ossuary has since moved to Europe." All we're left with is the word of an anonymous source, a level of reporting that is usually considered to be insufficient in modern journalism." Augustus legislated against the “new” woman. Philosophical schools encouraged their followers to avoid embracing her way of life. And, as this fascinating book demonstrates for the first time, the presence of the “new” woman was also felt in the early church, where Christian wives and widows were exhorted to emulate neither her dress code nor her conduct. Using his extensive knowledge both of the Graeco-Roman world and of the New Testament writings, Bruce Winter shows how changing social mores among women impacted the Pauline communities. This helps to explain the controversial texts on marriage veils in 1 Corinthians, instructions in 1 Timothy regarding dress code and the activities of young widows, and exhortations in Titus for older women to call new wives “back to their senses” regarding their marriage and family responsibilities. Based on a close investigation of neglected literary and archaeological evidence, Roman Wives, Roman Widows makes groundbreaking contributions to our understanding of first-century women, including their participation in public life as lawyers, magistrates, and political figures, which in turn affected women’s ministry in the Pauline communities. See also the companion web site at Tyndale House which features a Photo Gallery. Announcement forwarded by Andrew Gregory. I've been looking out for a UK release date for The Passion of the Christ and at last there seems to be one. BBC On-line, at the end of another article about the pope's (non)endorsement of the film, gives 26 March. These arrived last week but I left the email on my work PC (and blogging is mainly done from home). The titles below are those specifically relating to the NT. Levine, Amy-Jill and Marianne Blickenstaff, eds. Mel Gibson's spokesman issued a statement late Monday saying there is no reason to believe the Vatican's denial that the Pope commented favorably about the controversial film "The Passion of the Christ." . . . .
. . . . . "Based on all previous correspondence and conversations held directly between representatives of the film and the official spokesperson for the Pope, Dr. Joaquin Navarro-Valls, there is no reason to believe that the Pope's support of the film 'isn't as it was'." VATICAN CITY (CNS) -- Pope John Paul II never said "It is as it was" after watching Mel Gibson's film on the passion of Jesus, said the pope's longtime personal secretary, Archbishop Stanislaw Dziwisz. "The Holy Father told no one his opinion of this film," the archbishop told Catholic News Service Jan. 18 . . .
. . . . . The co-producer of the film, Steve McEveety, was in Rome in early December to host private screenings of a rough cut of the film for Vatican and other Catholic officials. After the pope and Archbishop Dziwisz watched the film, the archbishop met with McEveety and with Jan Michelini, an assistant director of the film. According to published reports, McEveety and Michelini said Archbishop Dziwisz told them the pope reacted positively to the film and said, "It is as it was." But, Archbishop Dziwisz told CNS, "That is not true." "I said clearly to McEveety and Michelini that the Holy Father made no declaration," the archbishop said. "I said the Holy Father saw the film privately in his apartment, but gave no declaration to anyone," he said. "He does not make judgments on art of this kind; he leaves that to others, to experts." Until Archbishop Dziwisz's interview with the Catholic News Service, a news agency for Catholic publications that is affiliated with the United States Conference of Catholic Bishops, no Vatican official had gone on the record to confirm or deny the pope's reported remark. That Archbishop Dziwisz spoke out is extremely unusual. He is closer to the pope and spends more time with him than virtually anyone else at the Vatican. Partly because of that, he almost never gives formal interviews to reporters. His decision to talk to Ms. Wooden suggests that either he, the pope or other Vatican officials close to the pope had become concerned about the degree to which the pope's imprimatur was being placed on "The Passion." A telephone message left today at Icon Productions, which is responsible for the movie, was not immediately returned. One prominent Roman Catholic official close to the Vatican said today, "I have reason to believe — and I think — that the pope probably said it." "But I think there's some bad feeling at the Vatican that the comment was used the way it was," the official added. "It's all a little soap-operatic." Two correspondents have recently asked me if there is an RSS feed so that they can view this blog using an aggregator. I'm afraid that at the moment the answer is no. Although I host this blog on the NT Gateway's server space, I use the blogger software to run it and at the moment blogger does not support RSS. They do have it available on their "blogger pro", but upgrades to blogger pro are currently suspended. But they promise that they should be introducing RSS feeds soon. I'll make an announcement when it is available. He has been called the father of Christian biblical exegesis, the first systematic theologian … and a heretic. How should we assess his legacy today? What Christian Theologian are you? I took the What Christian Theologian are you? quiz and discover that I am Erasmus. A bit of fun for an idle moment. On-line Bible commentaries in "simple English"
This is a useful breakdown of the film into segments with clips in Real Video alongside the corresponding portions of text from Matthew's Gospel. Explorator 6.38 now available and, as usual, full of interesting bits and bobs. Stephen Carlson's excellent review of Paul Foster, "Is it Possible to Dispense with Q? ", NovT 45 (2003): 313-337 continues on Hypotyposeis, now in Part 1, Part 2, Part 3, Part 4 and Part 5. I have commented on Parts 1 and 2. I'd now like to comment on Part 3. Carlson comments on Foster's attempt to bring Luke's Prologue into play against the Farrer Theory, and specifically Luke's mention of the πολλοί (many) predecessors. As Carlson points out, the Two-Source Theory is no better off than Farrer here (Mark and Q rather than Mark and Matthew) and he makes the useful point that the wording "a narrative (or account, διήγησιν) of the events that were fulfilled among us" could tell in Matthew's favour since that sounds more like a description of Matthew than of Q.
I would add that Foster is walking a difficult line here. On the one hand, in the context being discussed above, he is keen to criticise Farrer and Goulder for their minimal sources position, no Q, no M, no L, and to make this criticism in the light of Luke's Preface. On the other hand, later in the article, he wishes to criticise me for not adhering to a minimal sources position, arguing that my acceptance of the role of oral traditions places me in a "thin end of the wedge" situation, that if I accept the role of oral tradition, I may as well accept Q. There is one minor problem and one major problem here. The minor problem is that Foster is misrepresenting Austin Farrer's views. As Carlson points out here, and as I pointed out to Foster before the publication of the article, Farrer accepted the role of oral tradition alongside Matthew's use of Mark and Luke's use of both (particularly "Dispensing": 85). The major problem is that the acceptance of the role played by oral tradition in the development of the Gospels is, I think, a real strength and it cannot realistically be used against me. Two-Source theorists do not see the acceptance of the role of oral tradition as compromising their theory and nor should Farrer theorists either. The only reason that we have got into the kind of situation where people think it is a weakness is because of the way that Michael Goulder has attempted to set up the terms of the debate. He set up a kind of hard-line version of the Farrer theory in which there are only literary sources with no oral tradition. He has been rightly criticised for this by E. P. Sanders and M. Davies, Studying the Synoptic Gospels, Eric Franklin, Luke: Critic of Matthew, Interpreter of Paul and most extensively by me in Goulder and the Gospels, Part 2 and Case Against Q: 64-66 (etc.). All in all I think Foster needs to decide whether it is a weakness for the Farrer theory to embrace a role for oral tradition (Farrer, Sanders and Davies, Franklin, me), in which case it is necessary to explain why this is not a weakness for the Two-Source Theory, or whether it is a weakness to deny a role for oral tradition (Goulder), in which case there can be no objection to my endorsement of it. Otherwise we simply have a "heads I win, tails you lose" scenario. On a related note, Farrer was ahead of his time in dispensing with M and L as Streeterian written sources that could be dated and located. I've read very little in recent times that endorses M and L as literary entities, one of the few being Kim Paffenroth's The Story of Jesus According to L (JSNTSup, 147; Sheffield: Sheffield Academic Press, 1997), cf. my review. McEveety declined to speak with me, but last week I tracked down Michelini, an Italian who lives in Rome, by phone in Bombay, where he is working on another film. As he tells it, McEveety visited Rome in early December, eager "to show the movie to the pope." Michelini, it turned out, had an in with the Vatican. "Everyone thinks it's a complex story, the pope, the Vatican and all," Michelini says. "It's a very easy story. I called the pope's secretary. He said he had read about the movie, read about the controversy. He said, 'I'm curious, and I'm sure the pope is curious too.'" A video of "The Passion" was handed over to that secretary - Archbishop Stanislaw Dziwisz, whom Vatican watchers describe as second in power only to the pope - on Dec. 5. The archbishop later convened a meeting with McEveety and Michelini in the pope's apartment. There, Michelini says, the archbishop quoted the pope not only as saying "it is as it was," but also as calling the movie "incredibile." Update: here's the link to the (same) story in the New York Times, courtesy Paleojudaica and Explorator. If you've not used it before, this is a useful bibliographical tool which searches from one page the extensive collections THEOLDI (at the University of Innsbruck), COPAC (Union of universities in the UK and Ireland), LCOC (Library of Congress Online Catalogue), PIB (Pontifical Biblical Institute) and articles in some on-line journals (e.g. Biblica). Caiaphas: Friend of Rome and Judge of Jesus? "This is a book about Joseph Caiaphas, the longest serving Jewish high priest of the first century and, along with Pontius Pilate, one of the men who sent Jesus of Nazareth to his death." --from the Foreword. "Written in a thoroughly accessible style and displaying easy mastery of the historical sources and mature judgment on controversial matters, this book will provide a much valued resource for scholars of ancient history as well as students of the Gospels and Acts." --James D. G. Dunn, Lightfoot Professor of Divinity, University of Durham. "Well written, thoroughly researched, and probably a definitive study of Caiaphas. A fine example of the rigor expected of a scholar of antiquity, and especially marked by its readability and attractiveness for nonspecialists and scholars alike." --Jackson P. Hershbell, Professor Emeritus of Classical and Near Eastern Studies, University of Minnesota, Minneapolis. HELEN K. BOND is Lecturer in New Testament at the University of Edinburgh. An expert on the history and archaeology of first-century Judea, she is author of the groundbreaking Pontius Pilate in History and Interpretation. See also Amazon (US) and Amazon (UK). I've had a look round and the other sites -- including the official one still have the shorter, "teaser trailer". I've added a link to the Yahoo! site on my page on The Passion of the Christ. Despite the filmmakers' efforts to make "The Gospel of John" into a dramatic feature film, it never quite makes it beyond the Sunday School lesson stage. You may need to register to view the article (free). Torrey Seland commented on the future for his pages, mine and others like them. I had responded here; Torrey replied; Jim Davila offers his response; and Torrey responds. After a little more thought, I find myself in sympathy with what Jim Davila is saying. The evolutionary model is the right one and the attempt to introduce hierarchical structures, centralisation, too much control could be unwieldy and to the detriment of all of our sites. Our sites are powered by energy and enthusiasm and my guess is that others are like me -- they do it because they enjoy doing it. To be frank, when I look for things that I can cut back on, my preference is always to cut back on things other than the internet stuff. I suppose that where Torrey was hitting a note with me was in the thought that one day it will all become too unwieldy, too much for individuals working in isolation. I always have a backlog of links to add to the NT Gateway, some sent to me by kind individuals who cannot work out why it is taking me so long to add their link, many that I have found myself and are awaiting the next spare moment. But in the end they do make it onto the site and I don't think I have a bigger backlog now than I've had in the past. So I'm not too concerned at the moment. What I would be interested in would be some dialogue about the future and being British, beer or wine is fine with me too. Unlike Jim, I won't be in Groningen but I will be in San Antonio, so we could take it there. I think this was either Nashville 2000 or Denver 2001, in the CARG (Computer Assisted Research Section). It was enthusiastically received in the session but I don't think that anything further has come of it and perhaps now nothing will. Still, it's an interesting idea. I've refreshed my Scholars: T page -- lots of wandering scholars' faculty pages and home pages. I've deleted the link to Tom Thatcher's. He used to have a huge and interesting web page with full-text reproductions of articles and more, but it's been off the web now for well over a year. I saw Tom briefly at the SBL in Atlanta; we share the same birthday (date and year). The other revisions are new URLs for Charles Talbert, William Telford, Bruce Terry (massive site) and Mary Ann Tolbert. [Note: there is a far, far better image of Papyrus Oxyrhynchus 3525 on the P.Oxy. web site]. "Oh, this was gentle," she said of the stinging rebuke of one critic, a fellow scholar who, to put it charitably, did not like her latest book, Beyond Belief: The Secret Gospel of Thomas. The critic, Luke Timothy Johnson, said Pagels adhered to a "stunningly simple argument." 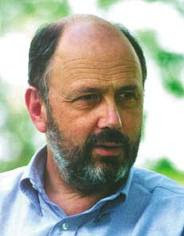 . . . .
. . . . Pagels argues that early authority figures within the church, particularly Irenaeus, the bishop of Lyons, concluded that the writer of the Gospel of Thomas erred in suggesting that Jesus taught "that we have direct access to God through the divine image within us," Pagels writes. In contrast, the majestic Gospel according to John -- which Pagels believes was probably written in response to Thomas, with the two texts "in dialogue" but also often in conflict -- took a far different view of Jesus and his ministry and proved more useful in uniting the growing Christian movement. If Thomas believed humans should try to emulate Jesus as a way of discovering inner divinity, John's Gospel "succeeded ever after in persuading the majority of Christians," Pagels writes, that "only by believing in Jesus can we find divine truth." . . . .
. . . . "The history of Christianity is not a triumphal march of ideas but a series of intense arguments and conversations," Pagels said. "I love that side of it." Others are less enthusiastic. In a review for the independent Catholic magazine Commonweal, Johnson, who teaches New Testament and Christian origins at the Candler School of Theology, took Pagels to task for needlessly defending noncanonical texts that honor spiritual experience over "the rule of faith (or creed)." "Welcome to another exercise in revisionist history," Johnson wrote, adding that Pagels' "historical point is that the good stuff lost out. Her normative point is that Christianity has to claim its inner Kabbalah [Jewish mysticism] if it is to appeal to people like Elaine Pagels." Pagels understands Johnson's critique, but maintains she is not so much saying that "the good stuff lost out" as arguing that contemporary Christianity is richer by having a wider range of early texts from which to draw. . . . . .
FlashWorks and VocabWorks both get four pencils (good). EWTN to air 2nd Exclusive Interview with Mel Gibson on "The Passion of the Christ"
This includes the additional information that it will be "the widest opening ever of a subtitled movie"; the release of the new trailer is pinned here to January 16. Debney's latest include Elf and Bruce Almighty. The news on the Lisa Gerrard web site has changed to say now that she is co-scoring the film: "There are other brilliant composers involved, amongst them Lisa is also collaborating with Patrick Cassidy." IMDb give Lisa Gerrard and Rachel Portman as providing the music. Unlike the many books that treat the apostle Paul merely as a historical figure and his letters as literary relics, this new study by Michael Gorman focuses on the theological message of Paul’s writings, particularly what they have to say to the contemporary church. An innovative and comprehensive treatment of Paul, including commentary on all of the Pauline letters, Gorman’s Apostle of the Crucified Lord unpacks the many dimensions of Paul’s thought carefully and holistically. Six introductory chapters provide background discussion on Paul’s world, his résumé, his letters, his gospel, his spirituality, and his theology, while the main body of the book covers in turn and in full detail each of the Pauline epistles. Gorman gives the context of each letter, offers a careful reading of the text, and colors his words with insightful quotations from earlier interpreters of Paul. Enhancing the text itself are questions for reflection and discussion at the end of each chapter and numerous photos, maps, and tables throughout. All in all, Apostle of the Crucified Lord is the ideal book for students and any other readers interested in seriously engaging Paul’s challenging letters. The above link takes you to the Eerdmans catalogue; also available here at Amazon.com. Irenaeus identified the books of the New Testament, then showed the church how they fit with the Old. See also previous blog entry on this issue. 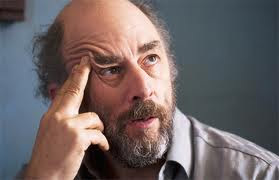 Tom Wright or Toby Ziegler? How long . . . ? (1) When people ask me about the NT Gateway at conferences, usually to wonder out loud about how I get the time to do it all, I tend to find myself saying that I enjoy doing it and that's why I carry on doing it. As soon as I stop enjoying it, I will have to stop doing it. (It's also a fact that I work too hard, produce less research than I would otherwise do and don't get as much sleep as I should, but you don't want to hear about that). (2) Where I was beginning to flag on keeping the NT Gateway up to date, this blog has helped enormously. For reasons I've stated before, it's much more enjoyable than just doing the NT Gateway. (3) There is one area that I have failed to keep up to date on the NT Gateway and it is now causing me some concern: on-line articles. These are proliferating at a real rate and it is not straightforward to keep on top of them. This situation is hardly going to reverse itself and there may come a day when I have to admit defeat on this one. (4) I've sometimes wondered out loud about the possibilities of greater collaboration and it may indeed be the way forward to begin thinking seriously about this. My hunch is that it would only work if one could involve a major organisation and the obvious one would be the SBL. But all this needs some more thought. Let me make clear that I have absolutely no intention of stopping developing and maintaining the NT Gateway, but I do think that Torrey Seland is asking some useful questions for the long term about how we all look to the future for Biblical (and related) resources on the web. Stephen Carlson is producing a fascinating review of Paul Foster, "Is it Possible to Dispense with Q? ", NovT 45 (2003): 313-337 over on Hypotyposeis, so far Part 1 and Part 2. I am taking more than a little interest in this since Foster's article is largely focused on my work on the Synoptic Problem. I am writing a full-length response to Foster so will not comment at any length here but will comment on one or two things are they arise in Stephen Carlson's so far very thorough critique. Carlson comments on Foster's brief discussion of the Farrer Theory's precursors. I would add that while of course Foster cannot be expected to cover all the proponents of the theory, there are two who are probably too important to miss, not least because I have drawn from them heavily in the material Foster is reviewing, and they are H. Benedict Green and E. P. Sanders / Margaret Davies (see my Introductory Bibliography for references). In my view, this is the right place to begin. Stephen Carlson's mention of Michael Thompson's article on the "holy internet" in this context is a very helpful one. Something I commented on in Case Against Q was the remarkable nature of Burton Mack's theory that has Luke written nearly forty years after Matthew yet preferring to use the moribund Q. An archaeologist from Kibbutz Ein Gedi has probably made one of the biggest finds of his career - and it happened just as he was walking along the nearby beach of the Dead Sea. He found a lead-and-wood anchor - without the lead - that probably dates back to the Roman period, 2,000 years ago. The anchor found by Dr. Gideon Hadas is 1.8 meters by 0.9 meters wide (6 by 3 feet), and weighs some 500 kilograms (1,100 lbs.). Dr. Hadas informed the Antiquities Authority of his find, and received permission to research it. That's from Arutz Sheva. Jim Davila also blogs this and links to a paragraph in Haaretz with a picture. What would you ask Paul?